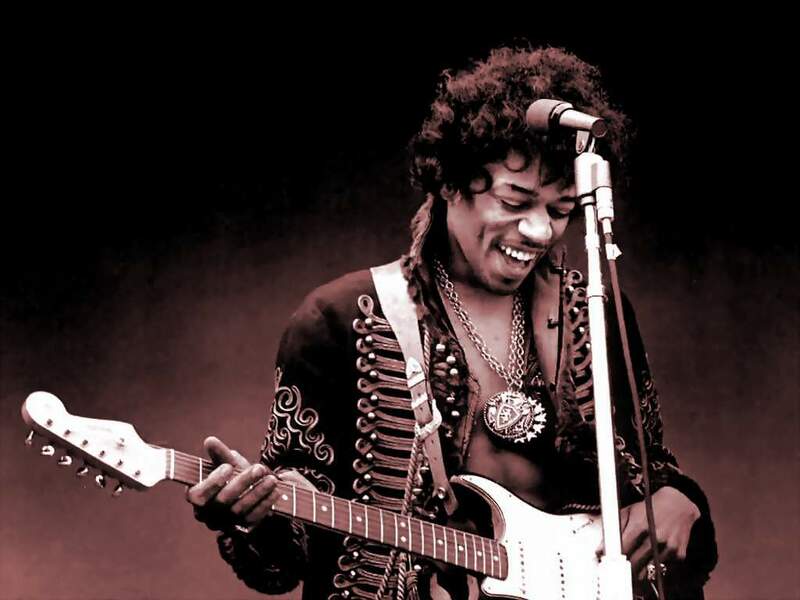 James Marshall “Jimi” Hendrix (born Johnny Allen Hendrix), who is considered to be the greatest guitarist in musical history, died tragically on September 18, 1970 in London when he was just 27-years old. But his legacy lives on thanks in part to the “Experience Hendrix” brand, which was founded by James ‘Al’ Hendrix, Jimi’s father, in 1995, and has been managed since its inception by family members personally chosen by Al. It is the official family company charged with managing the music, name, image and likeness of Jimi Hendrix. As a part of its daily operations, under President and CEO Janie Hendrix, Experience Hendrix and Authentic Hendrix oversee Jimi’s legacy on a worldwide basis. Today, the folks behind Jimi’s brand have released The Complete Digital Jimi Hendrix Experience for the iPhone and iPad. The purple hazed app feels like you’re flipping through the pages of an album jacket. I love the little factoids about each album like when it hit #3 in the U.S. or #5 in the U.K. The pictures of Hendrix are priceless and the map section is really rad. The app lets you flip through his entire discography, which includes full iTunes integration so you can play the songs you own, sample those you don’t or purchase the ones you want from within the app. It includes a Filmography section so you can discover documentaries, live performances, and other films about Hendrix. You can also peruse photos, video clips, and descriptions of the concert venues that Hendrix played at and sign up for geo fencing alerts when you are near Hendrix landmarks. Visiting these landmarks, such as Electric Lady Studios or the Experience Music Project Museum will award you virtual passport stamps. The app comes with a full on social media integration so you can share your Jimi Hendrix badges and tweet out information from the app or share it on Facebook. The app lest you connect with multiple devices, so you can use AirPlay to connect with your Apple TV or Airplay speakers. Rock on! ➤Download: The Jimi Hendrix – The Complete Experience App here— Free for iPad, iPhone and iPod touch.